New RB Leipzig signing Yvon Mvogo is cutting his holiday short in order to hit the ground running with the Eastern outfit in the 2017/18 season. "Training starts on 3 July, but I'll only be on holiday for two weeks," the goalkeeper told Bild. "I want to be as well prepared as possible for the season; it's going to be the biggest year of my life playing in the Champions League." 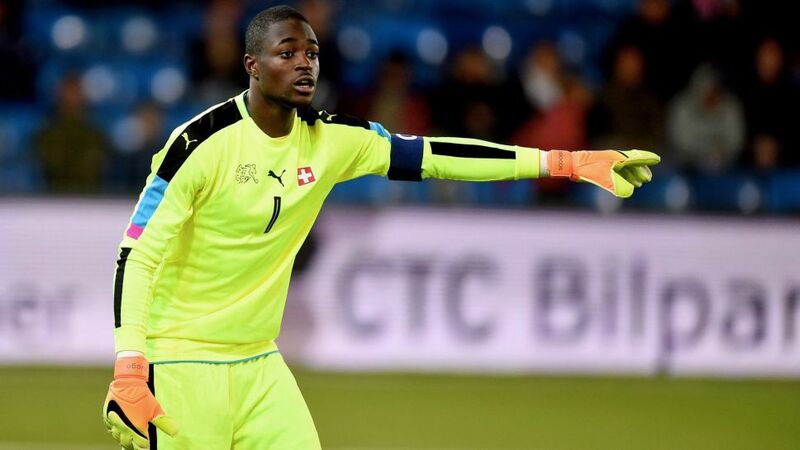 Mvogo, who officially joins Leipzig from Swiss top-flight side Young Boys on 1 July, has already found a place to live in the city in order to for the transition from the the Super League to the Bundesliga to be as seamless as possible. Click here for all of the confirmed Bundesliga summer transfers! "I've had a flat organised for quite a while,” said Mvogo. "I've found a lovely little flat in the centre of town. I haven't had a huge amount of time to explore yet, but the city itself looks lovely. It's quiet, like Bern, but bigger." One part of Leipzig that Mvogo has already come to know well, however, is the club's training ground: "The infrastructure is amazing. It's high-tech and modern; it's easily one of the best in Europe - maybe the best anywhere!" Mvogo, 22, will join a growing Swiss contingent, both in the Bundesliga and in Leipzig. His fellow goalkeeper, Fabio Coltorti, who made one appearance for Ralph Hasenhüttl's side last season, also hails from Switzerland. "I haven't spoken to Fabio yet, but I think he'll be a real help with trying to settle in," said Mvogo. "Swiss players are important in Germany. When you hear the word 'Swiss' then you immediately think of quality - that goes for football, too, and particularly goalkeepers."